A capable pair of hands to diffuse Nico Rosberg’s bombshell, a competent and commendable support act to Lewis Hamilton’s title challenge. However beyond that the paddock consensus was cynical about Valtteri’s ability to mount a credible challenge to perhaps the modern era’s most imposing all-rounder. Whilst fans, pundits and paddock sages didn’t expect him to be a Kovalainen, they didn’t expect him to be a Rosberg either. However, five races later, and having outqualified his illustrious teammate twice and having crossed a number of personal Rubicons with his first ever pole and win, Valtteri is increasingly starting to ask questions of the preseason paddock wisdom. Has he in fact been doing as good a job as Rosberg would have done? Of course Rosberg is no linear reference point: last year alone he fluctuated from being plain faster than his teammate in Singapore and Suzuka to being scarcely able to keep Lewis in sight in Austin and Mexico City. 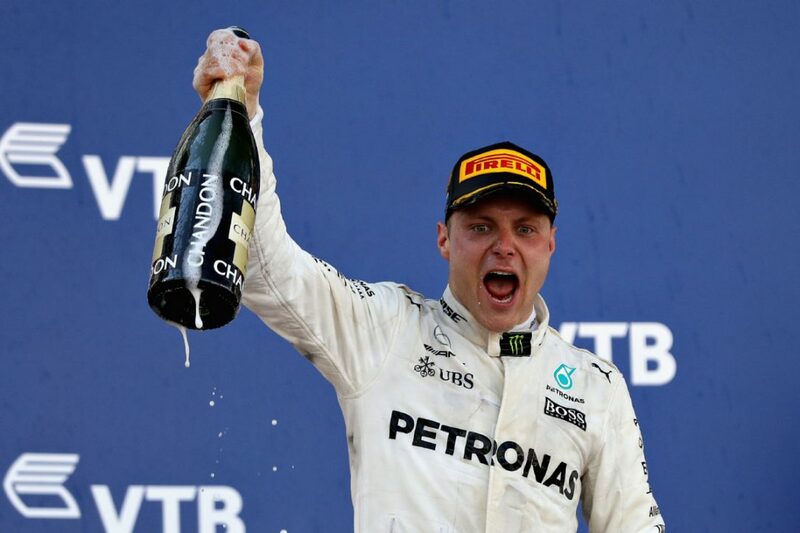 However, whilst it is unlikely that a man of Rosberg’s skill and experience would have spun under the safety car in Shanghai, and he arguably would have made more of a Bahrain Grand Prix starting from pole than Valtteri did, Bottas has otherwise been believably imitating Nico’s hypothetical level of performance. It is a credit to the championship squad that they have salvaged a scenario that could have forced them to put the rather raw Pascal Wehrlein in the car, and have instead a driver more than capable of supporting a constructors’ championship charge and able to win when their star driver is having an off-colour weekend. Just such a weekend occurred for Hamilton in Sochi, and Valtteri, on a track that he historically excels at, duly took his chance. What I love about how Valtteri reacted to what was undeniably the high watermark of his career to date, is that it was understated beyond even Finnish convention. Underpinning that moment was a starkly vivid, palpable relief tinged with a subtle frustration that he had not managed to win previously. Elated, relieved…slightly embarrassed by all the attention, even? 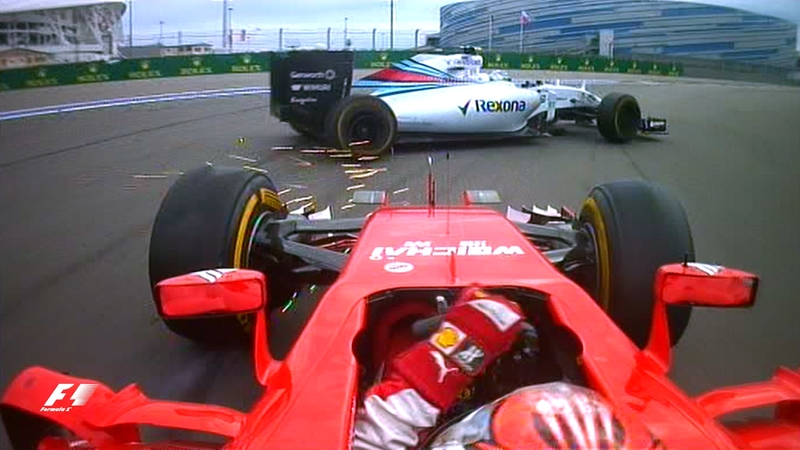 It was a race and a reaction that says tremendous things about his ability to go on to attain higher things in the future because he clearly has a tremendous belief in his own ability, and when opportunity came knocking, unlike Hamilton’s last Finnish teammate, he was able to produce his best performance level when the stakes were higher than ever. …so why did we ever doubt Valtteri? In many ways his quality was apparent from the outset. Whilst his was a slightly less searing speed than that of his junior series rivals Bianchi and Ricciardo, titles in Formula Renault 2.0 Eurocup (a campaign which featured a stellar, must-watch, last-lap battle with Ricciardo at Silverstone which is embedded below) and GP3 no less bore all the hallmarks of a diligent, cerebral competitor in the mold of Sebastian Vettel. Despite not driving in GP2 or Formula Renault 3.5, a year as Williams’ reserve driver proved a more than adequate stepping-stone (indeed, I have argued that a similar approach may have improved Lance Stroll’s transition) and Valtteri was soon comparing well to Maldonado in albeit uncompetitive FW35 in F1. However 2014 was the year that Valtteri started to earn paddock notoriety. Stellar performances from the back of grid to the podium at Silverstone, and a study in serenity under pressure from a charging Hamilton at Hockenheim remain among the highlights of his F1 career. As a man labelled a future champion by team principal Claire Williams and one already receiving admiring glances from the likes of Ferrari; Valtteri Bottas’ career trajectory was creditable. I don’t think it’s unfair to say that it was a trajectory that quite markedly plateaued for 2015-6. It was perhaps concerning that his margin to teammate Massa actually decreased for the 2015 season, and often poor starts or sub-optimal Q3 laps would put him in frustrating situations like stuck behind his teammate at Silverstone when he could have been leading. In 2016, whilst Force India could always rely on banzai performances from the superb duo of Hulkenberg and Perez, other than a magnificent podium in Montreal, truly special showings from Valtteri were few and far between. It was telling that despite the fact Valtteri had no contract for 2017, the Scuderia made no move to sign a driver they had previously expressed such interest in. More generally, there was an impression in the paddock that Valtteri, whilst undeniably calculated and dedicated, was perhaps lacking the fire, the burning urge to prove that they are the best, embedded in all champions. That is no reflection of his utterly Finnish lack of joie de vivre, nor of the fact that he is among the most friendly and approachable faces in the paddock (Ricciardo and Vettel are too, and no one’s questioning their passion), but of the need to impose oneself on a team and to inspire an inner circle of essential individuals around you. Versus an infinitely more extrovert and expressive individual like Hamilton, Bottas’ ability to drive the team’s strategy and development is arguably compromised. However that is perhaps less important this year because the opposition for Mercedes is not the other side of the garage but a rejuvenated Scuderia headed by one of the most formidable operators on the grid. With Vettel squarely in the cross hairs of the three-pointed star, the emphasis on how Bottas compares with a title-challenging teammate he will likely be required to support is reduced. Yes, Valtteri is #2 in all but name, but in entering the lion’s den, in being parachuted into Hamilton’s team, it is worth asking whether we should have expected anything else. And even if he is supporting Lewis this year, that doesn’t detract from the flashes of irrefutable excellence we have seen from Valtteri this year, and of the chances of him perhaps forging a title challenge of his own in the future.